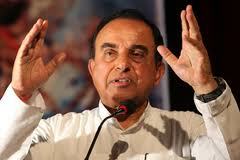 The visiting Harvard Professor of Economics and iconic Politcian spoke at Youth against Corruption meet in Bangalore. Dr Swamy dealt with Corruption and its deleiterous effects on Indian economy and culture besides other issues facing India. Dalai Lama addressed South Africans via Video Conferencing as Desmond Tutu joined hands against the Oppression against Tibet by Communist regime. If China fails to start its own Reform regarding Tibet policy, Church would ally with tibetan cause and sow seeds of more widespread Democratic protest. It is imperative China befriends the Lama and kickstart internal Reforms if it really wants to avoid a Chinese Uprising which it should surely loose. 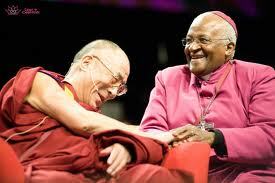 When Desmond Tutu posed- ‘ Why does the Chinese Government fear you ? the crowd applauded him and broke into chuckles when Dalai Lama feigned the Devil with 2 horns. Dalai Lama carried the crowd with a beaming Tutu expressing solidarity with Tibet’s struggle against Communist Oppression and Apartheid. The Dalai Lama has slammed censorship in China as “immoral”, following accusations that the Chinese government blocked him from traveling to South Africa to celebrate Desmond Tutu’s 80th birthday. The Tibetan spiritual leader spoke with Tutu on Saturday, answering questions via a video link, instead of attending an event to honour the South African anti-apartheid activist a day after his birthday. His absence was symbolized by an empty chair at the event at the University of the Western Cape where he was meant to deliver an inaugural peace lecture. Al Jazeera’s Gerald Tan reports. People were killed and scores more injured in clashes in the Egyptian capital, Cairo, after thousands took to the streets protesting against an attack on a Coptic Christian church. The march started peacefully, until scuffles broke out between protesters and the military police. Casualties were sustained on both sides, with dozens of people also getting arrested. The violence is the worst since the 18-day uprising that ousted President Hosni Mubarak in February.